The bustling historic market town of Boston has a rich history, which now features twice weekly markets, major local employers including a large hospital and various factories, a port and a strong retail offering including most High Street brands. The property is located to the north east of the town centre on Spilsby Road, one of the most desirable residential areas and is located on the south side of the road in an area of attractive houses. Number 76 forms two bays at the end of an iconic Grade II Listed eight bay Georgian Terrace. 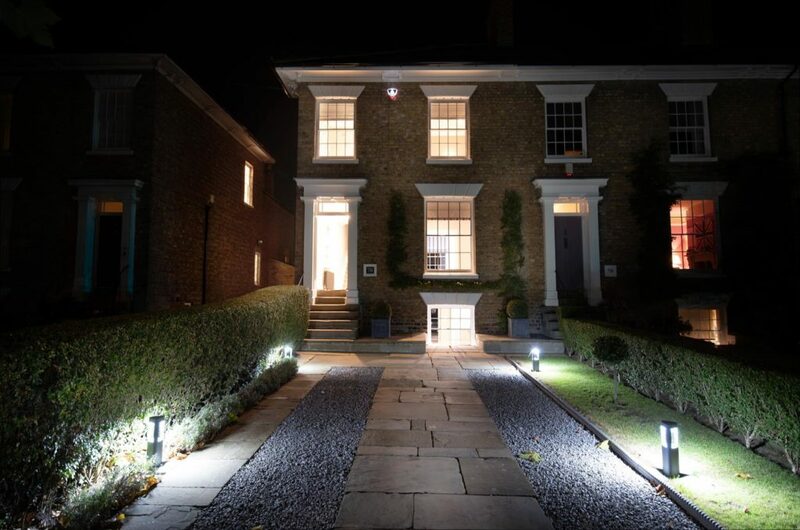 The property has undergone a complete transformation with a full refurbishment both inside and out. The general level of amenity has been greatly improved with the addition of several modern twists, whilst staying true to the original Georgian theme. 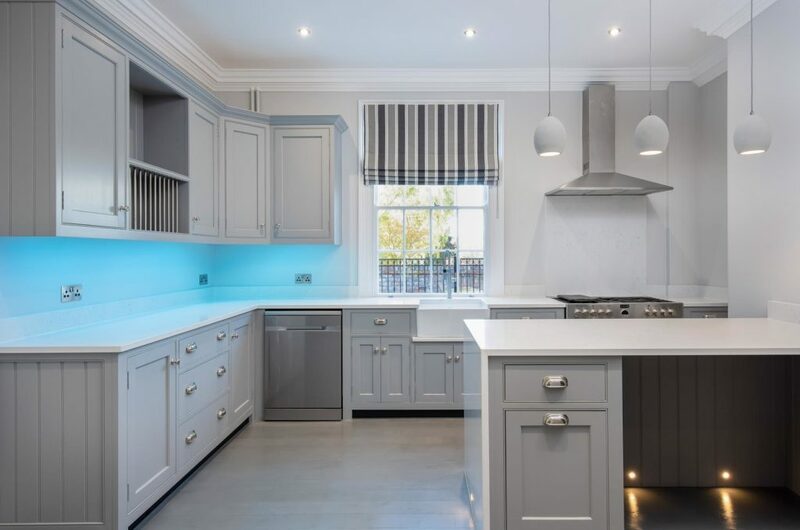 The large sash windows provide exceptional levels of natural light which are further enhanced by the clever use of cutting-edge LED technology. The highest quality materials have been used throughout, including, but not limited to; hand finished solid oak floorboards, a handmade Jonathan Ditchburn kitchen, London Radiator gun metal cast iron radiators, Riviera woven carpets, Carrera Italian Marble bathroom and a Farrow & Ball colour scheme. All of the removable fixtures and fittings shown in the photographs are available by separate negotiation including the sofa, double beds, refrigerator and hot tub. Having painted solid oak floor, cast iron radiator with thermostatic valve, decorative cornice, hardwood skirting, and return staircase. Having a matching range of handmade hardwood kitchen units with soft close drawers and doors, marble worktops with inset Belfast sink with integrated drainer, Stoves stainless steel range cooker with marble splash back and hood extractor over, Sash window overlooking the back garden and decking, marble island unit with cupboards under and 3 drop pendant lights over, inset skirting LED lighting, under counter multi-coloured remote-controlled LED lighting and dimmable ceiling spotlights, solid oak floor, cast iron radiator with thermostatic valve, decorative cornice, and hardwood skirting. Having a range of kitchen units with granite worktops, inset stainless steel sink, space for washer/dryer, full height cupboard, cast iron radiator with thermostatic valve, inset floor level LED lighting, under-counter wine cooler, Worcester Boiler with NEST controls, with windows to front and rear elevations and a door providing access to the raised deck and rear gardens. Being a versatile, modern space and able to function as a self-contained guest suite, two bedrooms with en-suite or as a garden room and snug. Having a tiled floor, two contemporary style radiators with thermostatic valves, inset LED lighting, exposed woodwork, hardwood skirting and French Doors to the patio/rear gardens. Having a sliding oak door, tiled underheated floor, modern low-level WC and matching basin with heated mirror, large multi-jet concealed shower and a stunning mix of ceramic and brushed metal wall tiles. Having a sash window to front elevation, tiled floor, inset LED lighting, cast iron radiator with thermostatic valve, modern frameless inset gas fire and oak door. Having two sash windows to the front elevation with handmade blinds, a range of fitted wardrobes with internal LED lighting, Riveira woven carpet, raised wooden bed plinth with concealed multi-colour LED lighting, inset ceiling lights and wall lights, two cast iron radiators with thermostatic valves, decorative cornice and hardwood skirting. An exceptionally high-quality family bathroom featuring; Carrera Italian Marble tiling and skirting throughout, freestanding bath with chrome waterfall mixer-tap and shower attachment, walk-in twin shower, Jack and Jill basins with soft-close drawers under, two heated mirrors activated by concealed PIR sensors, inset floor and ceiling LED lighting, decorative cornice, stylish modern radiator, fitted handmade wardrobe, sash window to rear elevation. Having a dormer window with views over the rear gardens, Riveira woven carpet, exposed oak beams and extensive wood panelling and pitched ceiling, concealed handmade wooden drawers, inset LED lighting and cast iron radiator with thermostatic valve. To the front of the property is a gravel and Yorkstone driveway bordered by mature hedges on either side with decorative night lights providing off-road parking for two cars. 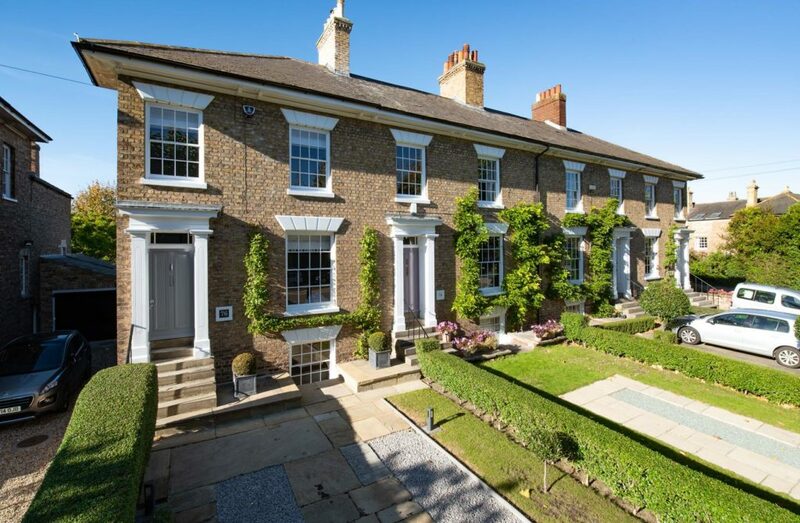 To the rear of the property is a private garden which has been landscaped as part of the refurbishment and is befitting of such an exceptional home. The garden is split into two parts, the first of which is overlooked from the raised wood and steel balcony, which has been handmade locally by J&B Engineering. Below the balcony is a private patio which gives access to the lower ground floor. A brick arch opens up to the handmade oak pergola. The first garden has areas of lawn either side of an Indian Stone patio and path, with sett border featuring inset LED lighting, which leads you down to the completely private Mediterranean style garden, with walls finished in non-glare brilliant white with raised decking, floor and wall lighting, fireplace with chimney which can easily accommodate a pizza oven. Currently a multi-jet hot tub is installed which is available by separate negotiation. It is the perfect spot for entertaining guests in all seasons. The property has an EPC rating of D57.